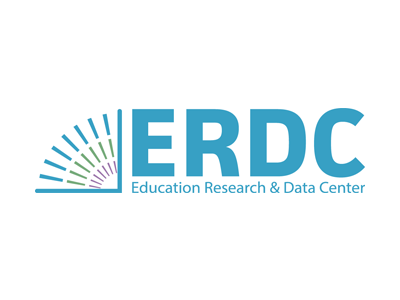 Washington State Education Research and Data Center | ERDC: Trusted. Accurate. Objective. 8 years after graduation, male workers who obtain a STEM degree earn (on average) $18,300 more than those who earn non-STEM degree, while female STEM majors earn only $2,800 more. What are the high school, postsecondary, and workforce outcomes of those who participate in Open Doors? How much more do Washington college graduates earn than comparable peers with no degree? How does this differ between male and female graduates? What is the Education Research and Data Center? We link education and workforce data from multiple state agencies, and transform this into insights that inform Washington decision-makers. This protects privacy by providing one place for people to find information for cross-sector research. What are the outcomes of Washington High School students? How does the ERDC protect you and your children's privacy? Learn more about the ERDC and its mission. 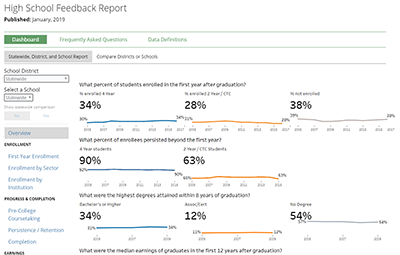 Explore data dashboards that provide insight into Washington educational programs. View research that has been conducted at the request of the legislature. Contact ERDC staff with questions. Explore how to obtain data to answer research questions. Explore resources on how to use ERDC data. Explore data dashboards that provide insight into Washington education programs. Explore research briefs and reports published by ERDC staff. Jeffrey Thayne, Jim Schmidt, and Greg Weeks each presented at the 2018 NCES STATS-DC Data Conference in July. STATS-DC is a conference that brings together individuals and organizations from throughout the country who use data to help administer and evaluate education programs. The conference includes discussions on technical and policy issues related to the collection, maintenance, and use of education data for education researchers, policymakers, and data system managers from all levels of government. The Office of Financial Management, Forecasting and Research Division has released a newly designed Statewide Public Four-Year Dashboard. OFM worked with the six public universities and colleges to create this centralized dashboard, which provides the public a view of public, four-year institution information, including the types of students enrolled and completing, in addition to the types of degrees awarded. 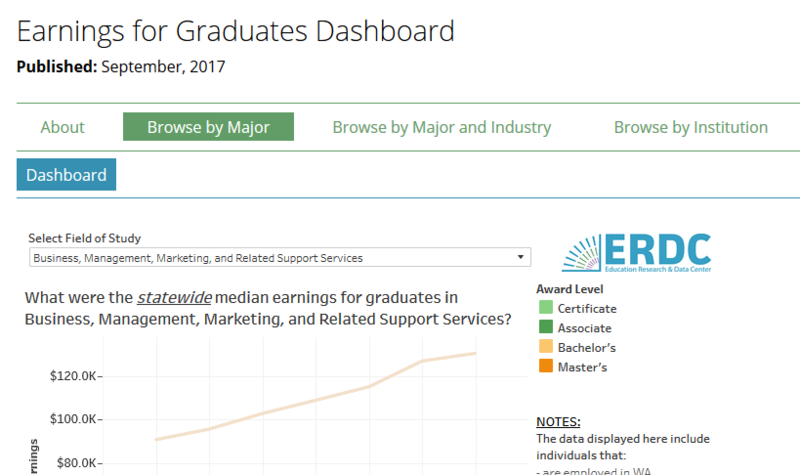 ERDC has recently published a new Earnings for Graduates report, which explores theearnings of students who have received certificates or degrees from public colleges, universities, and apprenticeship programs in Washington. The report allows users to explore how much graduates from various degree programs in Washington have earned during the seven years after graduation, and how this varies by institution and industry. For example, users can see how much graduates from a degree program have earned in multiple industries. ERDC's High School Feedbck Report has been updated to include college-going rates through 2015. The High School Feedback Report is a yearly-updated P20 report that presents college attendance data for high school graduates. The report includes student enrollment, demographics of graduates by postsecondary status, pre-graduation indicators by postsecondary status, and postsecondary participation characteristics for students enrolled in Washington publicly-funded institutions.